Panepinto Global Partners has focused its efforts on the Incheon Free Economic Zone (IFEZ) located in the City of Incheon on the northwest coast of the Korean peninsula. 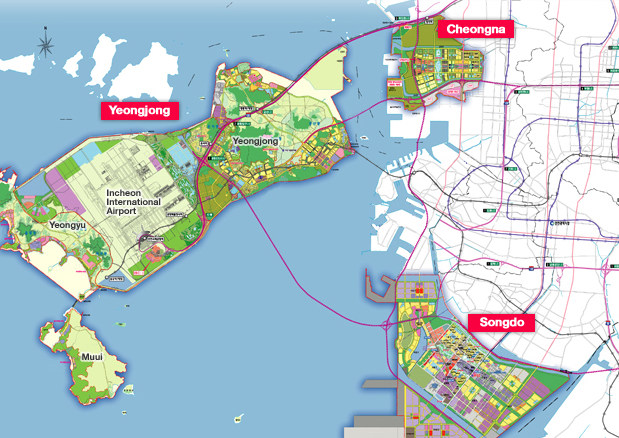 IFEZ consists of three districts: Songdo, Yeongjong and Cheongna. Incheon holds a central location to the major cities in the Northeast Asian region surrounded by 61 cities within three hours of flying time from Incheon International Airport. The South Korean government officially designated IFEZ in August of 2003 with the vision to transform Incheon into a major international financial, logistics and business hub in Asia. 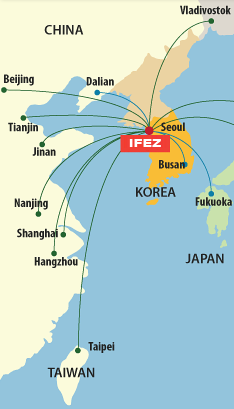 Its proximity to Seoul (40-minute) and to Incheon International Airport (10-minute) also affords the IFEZ a unique advantage for international business and trade.